Australian second-rower Adam Coleman has been linked with a move from Western Force to Munster. After the axing of the Super Rugby francaise it seems the offers have been pouring in from all over Europe for the international lock. 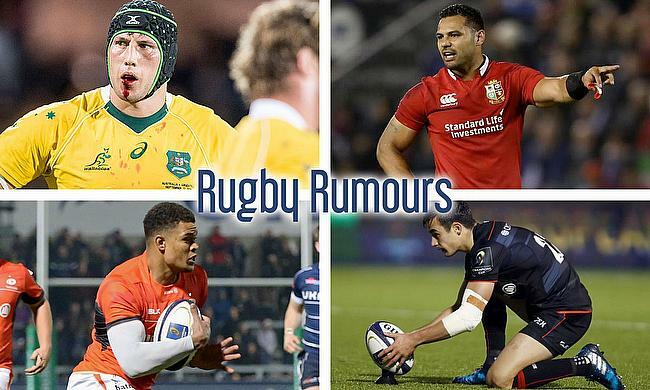 A rumour that has been circulating for some time that Bath Rugby want to make a move for Worcester Warriors star Ben Te’o. This potential move for the British & Irish Lions centre has been heavily defended by Warriors boss Gary Gold who said he's “not going anywhere”. The Saracens' fly-half could leave his current club and make a move back to his former club Wasps. Alex Lozowski stock isn't falling anytime soon after recently being included in Eddie Jones' 33-man training squad. Junior World Championship-winner Nathan Earle is in the last year of his contract with English heavyweights Saracens. The impressive wing won't be short of offers from the rest of the Aviva Premiership, as they wait with bated breath on his future.